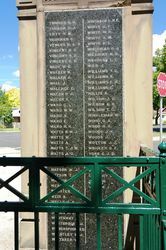 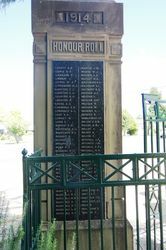 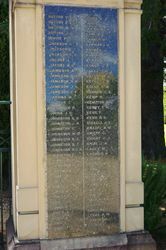 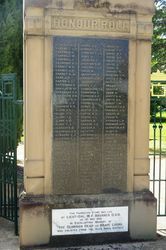 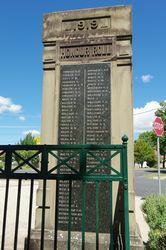 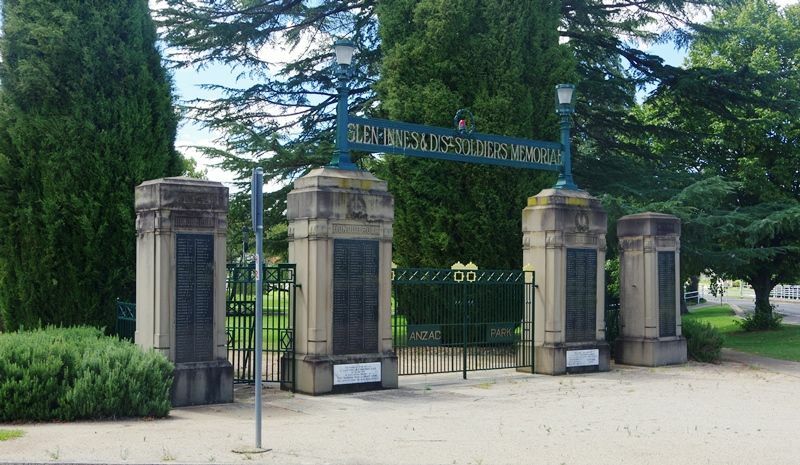 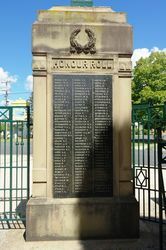 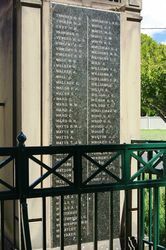 Glen Innes and District Soldiers Memorial is a set of gates at the entrance to Anzac Park which commemorate those who served in World War One. 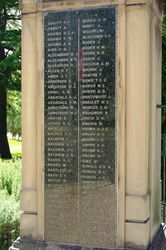 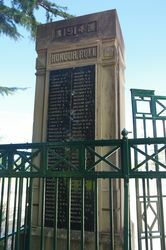 The foundation stone for the memorial was laid in 1922 and the gates were unveiled on the 14th February 1924. 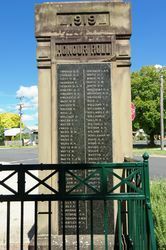 The impressive memorial to the men who enlisted in Glen Innes and district was unveiled by Mr. M. F. Bruxner, M.L.A., on Saturday. 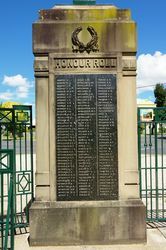 This consists of a set of cast-iron gates, with freestone pillars, which have been erected at the entrance to the small but well-kept Anzac Park, almost adjoining the main street of Glen Innes. 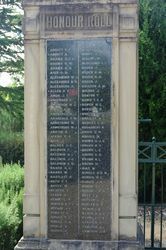 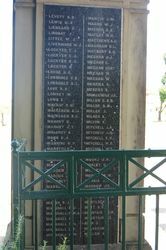 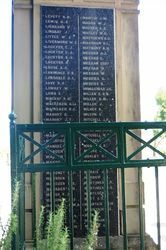 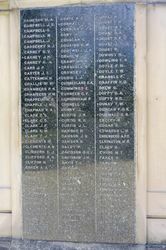 On two sides of each of the four pillars are insetted slabs of emerald green marble, on which the names of 810 men are engraved. 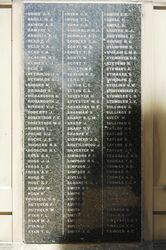 Over 1000 men associated with the district are considered to have enlisted, but despite the care taken, it has been found impossible to ascertain the names of all of them. 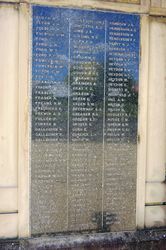 Miss Legge, secretary of the Girls' Patriotic League which is mainly responsible for the carrying out of the scheme, explained the steps which led to the choice of the design. 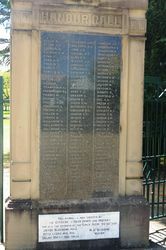 The cost, she said, was about £1800, and they were opened entirely free of debt. 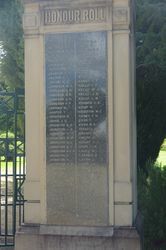 The memorial, she believed, was one of the very few which had been entirely sponsored by women. 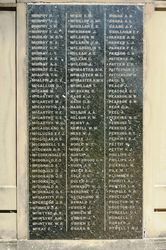 The Sydney Morning Herald (NSW), 16 February 1924. 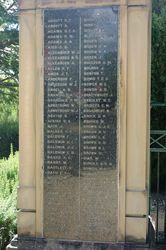 By Lieut-Col. M. F. Bruxner D.S.O.